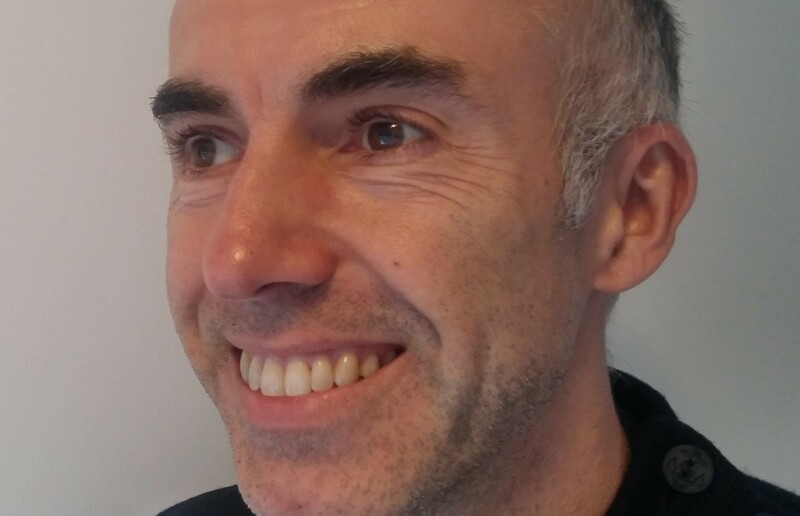 I co-founded Ad Brake in 2013, and now keep an advisory role. It is the national organisation that aims to reduce the influence of advertising on people’s lives and stop its creep into further areas of society. Consumerism is one of the strongest forces affecting our lives in the modern world. Every day we are surrounded by messages telling us that in order to be happier, better and more successful we have to have more stuff. It can act as a trap, leading us to consume beyond our means and beyond the planet’s resources, ignore important global issues like the environment and live money-focussed lives that neglect the things that really matter to us like friends and family, creativity, peace and fulfilment. Despite this, many people remain unaware of just how far consumerism has crept into different areas of our lives or the level to which it can affect us. Advertising is the engine of consumerism. Every day, each of us is bombarded with around 1,600 commercial messages. Advertising has become one of the most dominant means of communication in the world, and we are exposed to it through an ever-increasing range of sources. It has found its way into more areas of our lives than ever before – including those it has no place to invade, such as public places like schools and hospitals. It can harm our mental health and well-being – advertisements place immense pressure and influence on our identities. Leading psychologists suggest that advertising can make us feel dissatisfied, create anxiety and give us unrealistic expectations. They can also restrict damage our capacity for self-determination and hinder our ability to live the lives we really want. In short –they restrict our freedom and damage our well-being. This is because they no longer simply aim to make us aware of new products – they actually aim to manipulate us by creating needs and desires in us that we might not previously have had, and which might be contrary to our real needs and desires. They also promote a particular way of life – consumerism and individualism – that is not making us any happier as a society, is leading people into the misery of debt and that many people wouldn’t choose if they had a real choice. But often people don’t have the choice, as advertising is a powerful manipulative force, and although people may not realise it, the constant barrage of commercial messages in our lives can affect the way we view the world and our lives. Even if people consciously and actively try to ignore adverts they will still have an impact on their unconscious and therefore influence them. This is particularly problematic for children but by no means restricted to them. It can prevent people from leading autonomous, ethical lives – another example of the pressure that advertisements can exert on our identities. Studies show that increased exposure to commercial marketing is associated with increased levels of materialism in people. This can lead people to put more emphasis on the extrinsic values (such as money, fame, and popularity) and stifle their concern for important social and environmental issues such as poverty, suffering, discrimination and environmental challenges. It harms the environment – advertising promotes increased consumption at a time where we are already living beyond the planet’s finite means. It can be a public nuisance – for many people, advertising is simply an annoying intrusion on their mental and physical space. Despite the harm that it is doing to society, no organisation existed in the UK to challenge the role of advertising – until now. Ad Brake will use use a range of innovative methods to reduce our exposure to advertising and empower the public with the information and tools they need to understand, manage and challenge the influence that advertising has on them. 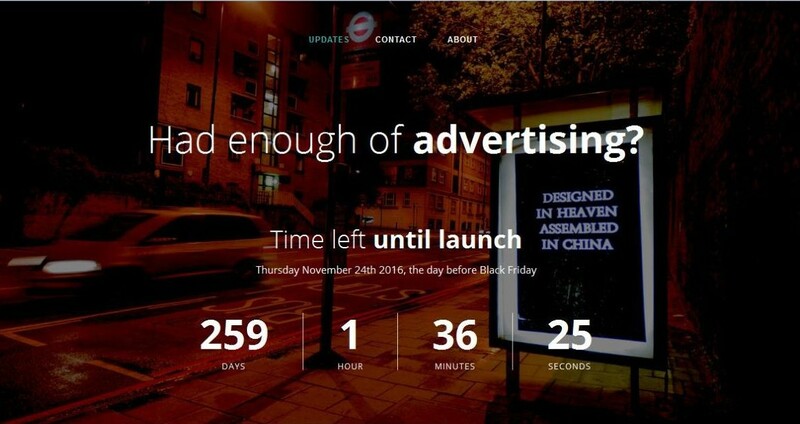 Ad Brake is due to launch on November 24th 2016. For more details and to get involved, visit www.adbrake.org.uk.